The idea of the East was something that inspired a great deal of 19th century art, one way or another, but few artists actually visited these foreign parts. The 19th century French composer Felicien David was different, he actually did visit Algeria, Egypt and the Middle-East, and his experiences there fuelled his music. 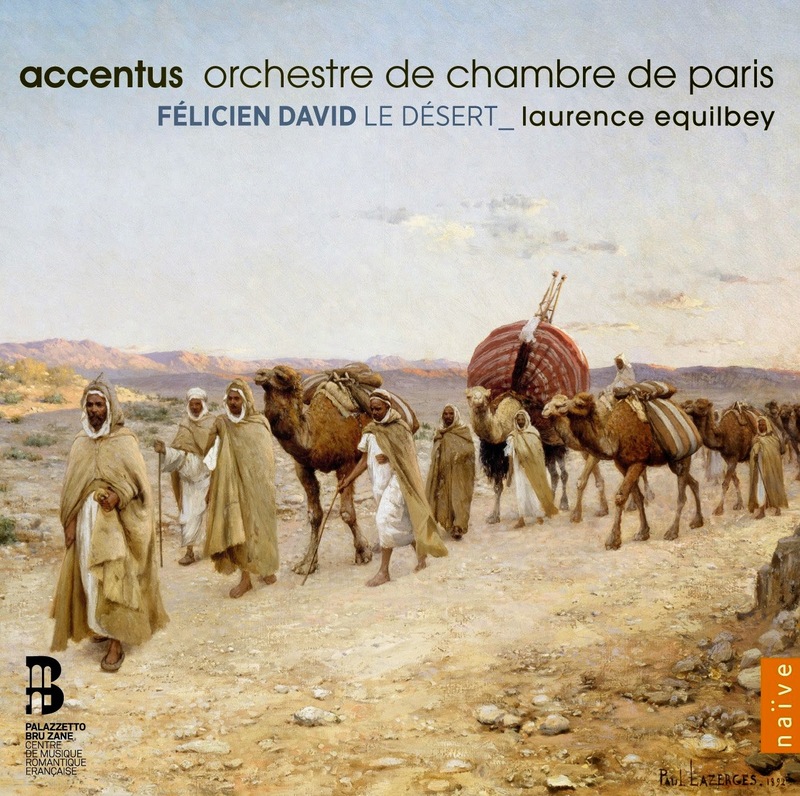 His orchestral ode Le Desert was his best known work, though it is virtually ignored today, but under the auspices of the Palazzetto Bru Zane, Laurence Equilbey and the Orchestre de Chambre de Paris have recorded Le Desert on the Naive label. In fact they have recorded it twice, once in the original version with narration spoken by Jean-Marie Winling and once without the narration. 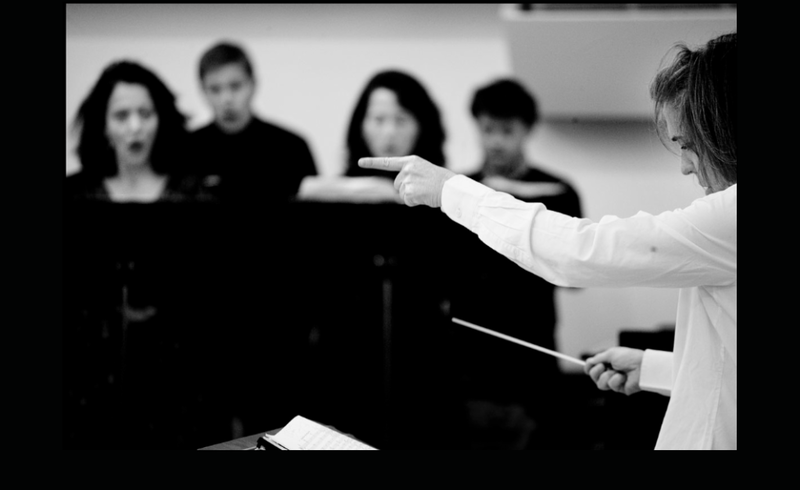 On both versions, Equilbey is joined by her choir Accentus and tenors Cyrille Dubois and Zachary Wilder. 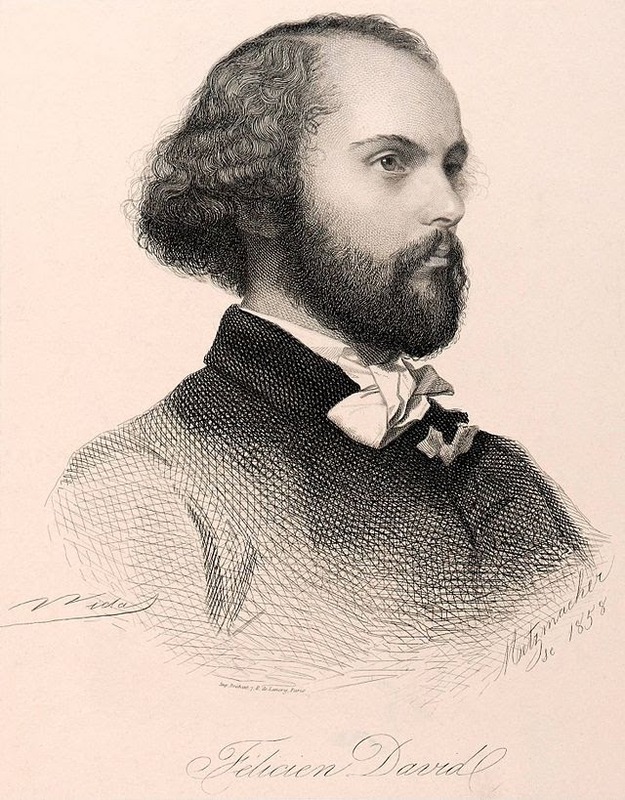 Felicien David (1810-1876) is one of those composer whose career runs through the biographies of better known figures like Bizet (who admired his music and thought of writing a symphonic ode like Le Desert), without his music ever really making much of an impact. Though a disc of David's songs was issued last year (see my review). David was at the cathedral school in Aix-en-Provence before going to the conservatoire in Paris, where he studied with Millault, Fetis, Benoist and Reber. And if those names are not well known to you, that is because David belongs to a substantial thread of 19th century French music which is largely unexplored today. Which is where the Palazzetto Bru Zane comes in, they are the Centre de Musique Romantique Francaise. (If you are interested in Bru Zane's work then they are presenting four concerts at the Institut Francais in London today - 29 March 2015). In fact David did not stay long at the conservatoire, he left in 1831 to join the Saint-Simonian community let by Pere Enfantin (1796-1864). The Saint Simonian movement was a French political and social movement inspired by the work and writings of Claude Henri de Rouvroy, comte de Saint-Simon (1760–1825). He envisioned a " ... union of men engaged in useful work", the basis of "true equality". After his death the charismatic Enfantin led a group, and they even purchased a newspaper. The group as banned by the French authorities in 1832 and went travelling to Algeria, Egypt and the Middle-East. David returned to France in 1835 with the intention of using his experiences of the East in his music. Le Desert was premiered at the Theatre Italien in 1844 and it was quickly taken up. Berlioz was enthusiastic, seeing in it a reflection of his own experiments with symphonic form and structure. Nowadays Le Desert can seem a little tame and nothing particularly revolutionary, but Felicien David's way of structuring the piece was in fact rather new. Though its intention is to depict a desert oasis and its goings on, David entirely dispenses with narrative and presents three snapshots morning, with the arrival of the caravan, night, and dawn with the departure of the caravan. It is more of a landscape that David is interested in evoking, rather than a busy narrative; the opening of the work is daringly devoid of incident as David conjures up the desert itself. Whilst he does use tunes that he has collected, David is evoking rather than depicting so that the work is not determinedly Eastern in either an authentic sense or a frenetic highly coloured. His work is the equivalent of the painters who travelled there and then returned with pictures depicting camels and desert, but under a blue sky that was clearly based on those in Europe, the strong colours of the original being too much for their clients. There are incidents, the first part has the caravan marching past and then a storm. The second has a lovely hymn to the night and la reverie du soir both finely sung here by Cyrille Dubois, along with an Arab dance. Then the final part opens with dawn, and the muezzin's song (sung by Zachary Wilder, also fine) before the caravan departs and the desert is alone. The male voice chorus sings the role of the men in the caravan, providing some added vocal colour. For the first version on the disc, this is it. We are allowed to appreciate David's work alone but in fact his slow moving textures were intended to form a backdrop to spoken text. Early to mid 19th century Paris seems to have had an underlying interest in melodrama in its various forms (Bizet would use it to great effect in Carmen) and there is a spoken text for Le Desert. All the words were provided by August Colin (a fellow Saint-Simonian). The spoken passages are quite flowery, but not too extensive; they just set the scene. And as spoken by Jean-Marie Winling they add considerably to the effect. In total, the piece lasts around 45 minutes or so (depending on which version you do, the one with speaker is a bit longer). This makes it quite an undertaking, and it is heartening that not only has it been recorded, but been recorded so well. This is not the work's first outing on disc, there is a 2009 recording from Carlo Maria Guida and the Radio Symphony Orchestra Berlin. But this new version is the most highly recommendable; it is not one of those discs which are recommendable purely for their novelty value, here Equilbey and her orchestra and singers give a very fine performance indeed which really brings David's music to life. My favourite moments are the three tenor solos (I am not sure why two different tenors are used but both are spine tingling) and it did strike me that these three movements together would make a nicely portable excerpt for concert use. I am pleased that Equilbey and the orchestra recorded the version without speaker, but it is the original version that I will return to. And return I will. Whilst Le Desert is by no means a lost masterpiece, it is a fascinating and evocative piece and an important part of the jigsaw of influences on 19th century French music. Berlioz and many of his contemporaries heard it and admired it, and so should we.